Engineered in Akron, Ohio USA- the polymer capital of the world. 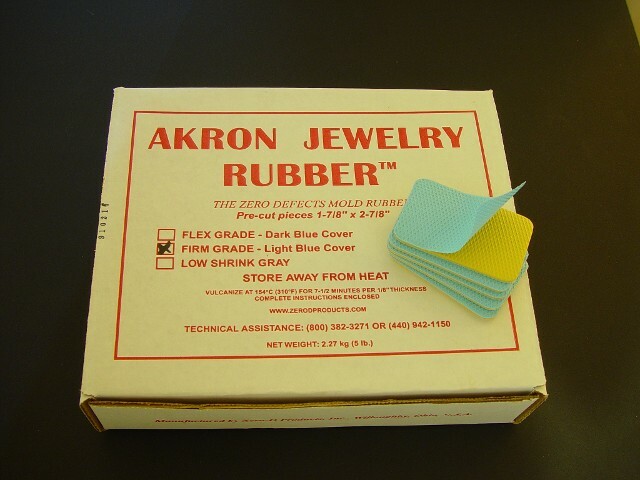 Our mold rubbers deliver controlled shrinkage, excellent cutting qualities, high tear resistance and elongation, and excellent fill and detail reproduction. Because our formulations contain certain waxes, oils and antioxidants, your molds will enjoy many, many years of production life. Modern chemistry permits an uncured shelf life of 7 years or more, finished life of over 20 years. Flex: 35 Durometer, soft, pliable, well suited to delicate work. Identified by dark blue polyethylene cover. Firm: 40 Durometer. preferred for thin molds and applications where extra firmness is required. Light Blue polyethylene cover. Low-Shrink Gray: 40 Durometer, Perfect for molds where extra firmness and minimal shrink is required. Dark Blue polyethylene cover. Squares: 25 kg. (25 1 kg. pieces) 55 lb.